What’s your daily routine before going to bed? If it doesn’t involve exercise, then it’s time to change your routine. An unsettled mind, gadgets, and a bad day spoil your chances of good sleep, and all it takes to fix the problem are the 7 light exercises mentioned here. Try them before the problem goes out of hand. Before that, let’s find out if exercising before going to bed is a good idea. There is a common misconception that exercising before going to bed is not good. Yes, vigorous exercises that will tire you out are bad because they increase your heart rate, activate your brain, and raise your body temperature, making it difficult for you to go to sleep. But, certain less vigorous exercises will help you unwind. Low-intensity yoga is one such exercise, and it is perfect to practice before going to bed. Some yoga poses combat restlessness and insomnia and help you sleep better. Let’s have a look at them now. How It Helps: Balasana relieves neck, shoulder, back, and hip strain and eases your body. It decreases stress and anxiety. The pose steadies your breathing and calms your mind and body to sleep. About The Pose: Balasana is a restorative yoga pose and is also known as the Child Pose as it is practiced in the fetal position. The pose is a beginner level Vinyasa yoga asana. Practice the asana in the morning on an empty stomach. Hold it for 1 to 3 minutes. How It Helps: Janu Sirsasana is perfect to cure headaches and fall asleep peacefully. It is therapeutic for insomnia and high blood pressure. The pose relieves menstrual discomfort and helps you sleep better. About The Pose: Janu Sirsasana or the Head To Knee Pose is a forward bend practiced in the seated position. It is a beginner level Ashtanga yoga asana. Practice this asana in the morning on an empty stomach and clean bowels. Hold it for 30 to 60 seconds. How It Helps: Upavistha Konasana calms your brain and de-stresses and relaxes your mind. The pose reduces stiffness in the joints and relieves sciatic pain. It detoxifies the kidneys and helps in smooth functioning of the body, which is needed for sleeping well. About The Pose: Upavistha Konasana is a wide-legged seated forward bend. It is good practice for other seated bend and twist yoga asanas. The pose is an intermediate level Hatha yoga asana. Practice it in the morning or evening on an empty stomach. Hold it for 30 to 60 seconds. 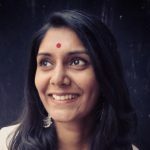 How It Helps: Viparita Karani regulates blood flow and relieves mild backaches. It serves as a balm for tired legs and feet. It keeps the symptoms of mild depression and insomnia at bay. The pose also relieves migraine and helps you sleep like a baby. 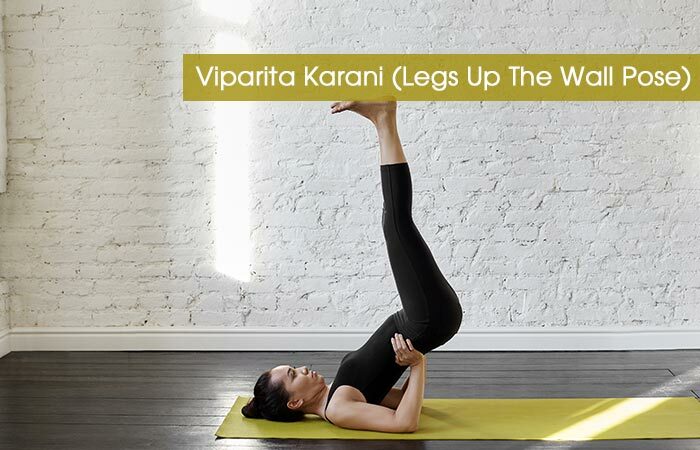 About The Pose: Viparita Karani is a mild inversion and is mentioned in the old Hindu scriptures for its ability to keep old age at bay. It is a beginner level Hatha yoga asana. Practice the pose in the morning on an empty stomach. Hold it for 5 to 15 minutes. 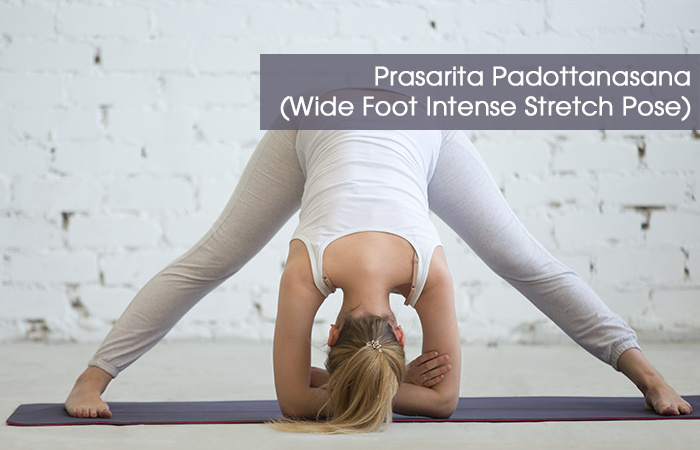 How It Helps: Prasarita Padottanasana provides relief from neck and shoulder tension. It helps you get rid of stress, anxiety, and mild depression. The pose relieves physical strain and relaxes your body to aid sleep. About The Pose: Prasarita Padottanasana is a standing forward bend usually practiced at the end of an exercise session. The asana is a beginner level Vinyasa yoga asana. Practice the pose in the morning on an empty stomach or evening after a gap of 4 to 6 hours from your last meal. Hold it for 30 to 60 seconds. How It Helps: Supta Matsyendrasana massages your back and hips. It relaxes your spine and removes toxins from your body. It removes stiffness in your lower back and prepares you for sleep. About The Pose: Supta Matsyendrasana is a restorative pose that requires you to twist your body in the reclining position. It is a beginner level Hatha yoga asana. Practice the pose in the morning on an empty stomach or in the evening after a gap of 4 to 6 hours from your last meal. Hold it for 30 to 60 seconds. How It Helps: Shavasana relaxes your entire body and muscles. The pose gives in-depth and meditative rest to the body. It reduces insomnia and anxiety and helps in giving you sound sleep. About The Pose: Shavasana is also called the Corpse Pose as it requires you to lie down on your back and be still and quiet. It is a beginner level Ashtanga yoga asana. You can practice the pose at any time of the day, but make sure you don’t fall asleep in it. Lie down in it for 10 to 15 minutes. Now, let’s answer some questions regarding exercising before sleep. What precautions do I take while exercising late in the night? Make sure you don’t work out too hard. Consume a small snack after the workout and take a shower before finally getting into bed. Is exercising in the morning better than in the evening? It depends on what you want from it. Practice rejuvenating and energy pumping exercises in the morning and relaxing and restorative ones in the evening. Sleeping well is vital. It can make or break your day. Inadequate sleep is a vicious cycle. If you don’t sleep well, you worry about it the next day. As a result, anxiety and stress develop, leading to inadequate sleep even the next day. Soon, it will lead to insomnia and health problems. Before that can happen, get vigilant and try the exercises mentioned above. Exercising When Sick – Is It Good Or Bad For Your Health?